Affectionately known as the Wild West of Canada, the rugged splendor of Alberta has long been recognized for its wintertime appeal. Yet the draw to this province isn’t limited to a single season. From the slopes of the Canadian Rockies to the shores of glassy lakes, you’ll be surprised by how many warm-weather activities compete with its popular reputation as a skiing and snowshoeing wonderland. Summer is the off-season for dog-sledding huskies, often found nursing springtime’s newborn arrivals. Snuggle a Siberian Husky puppy’s soft fur before touring their kennels. Even in warmer weather, you can take a seat on the dogsled for a demonstration of how to mush a pack of pups, from the wolf-like Canadian Inuit dog to the sturdy Alaskan Malamute. 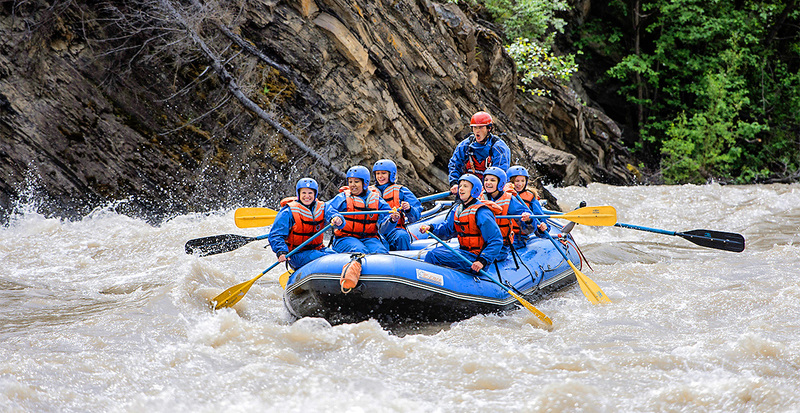 Get a new perspective of Banff while navigating its glacier-fed rivers on a whitewater rafting excursion through the Rockies. As your guide navigates the aptly named “Roller Coaster” rapid or fast-moving “Shotgun,” you’ll likely catch the majestic antlers of an elk in the riverbank brush or the flash of a mountain goat as it clambers up canyon walls. 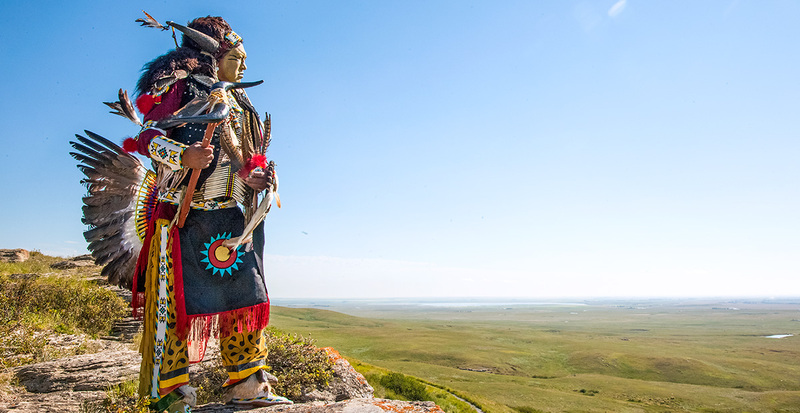 Head-Smashed-In Buffalo Jump is one of the most sacred locales to the First Nation history of Alberta. Over 6,000 years ago, Blackfoot tribes hunted on these cliffs and in the golden valley almost 50 feet below. Immerse yourself in the customs of the First Nations at this UNESCO World Heritage Site, where hoop dancers and drummers perform each June, and listen to Blackfoot legends firsthand from elders around a campfire. 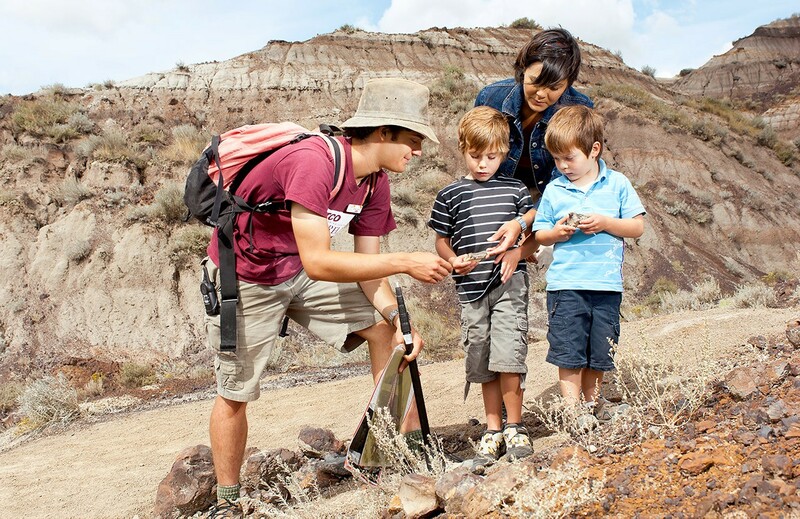 Over 145 million years ago, dinosaurs ruled the Canadian Badlands, an ancient seabed now stippled by purpled canyons and crumbling hoodoo rock formations. Left behind are prehistoric fossils — including the endearingly named Albertosaurus. 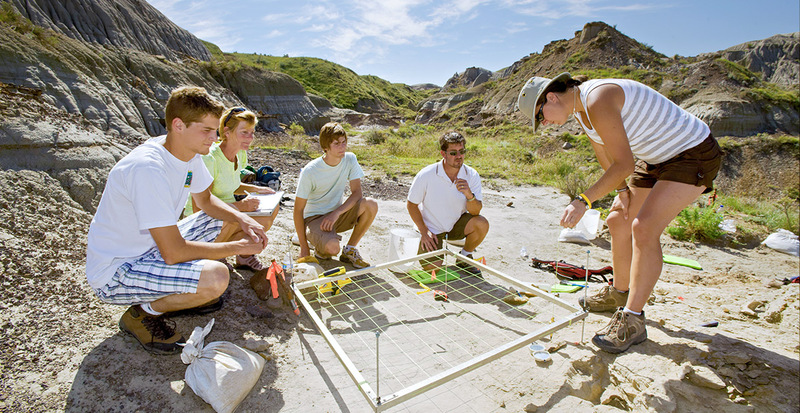 Prospect for your own paleontological finds in Dinosaur Provincial Park on a private dig using real-life tools and techniques. These luxury lodges grant the ultimate in comfort and fine dining while offering unfettered access to Alberta’s most scenic landscapes. 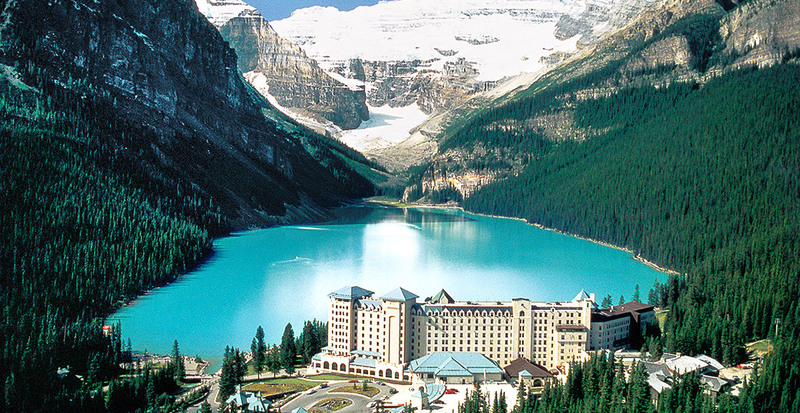 Tucked into Banff National Park, the Fairmont Chateau Lake Louise is encircled by peaks capped in snow and Victoria Glacier. Depart for a day of hiking or horseback riding nearby, but be sure to return for afternoon tea overlooking picturesque Lake Louise. 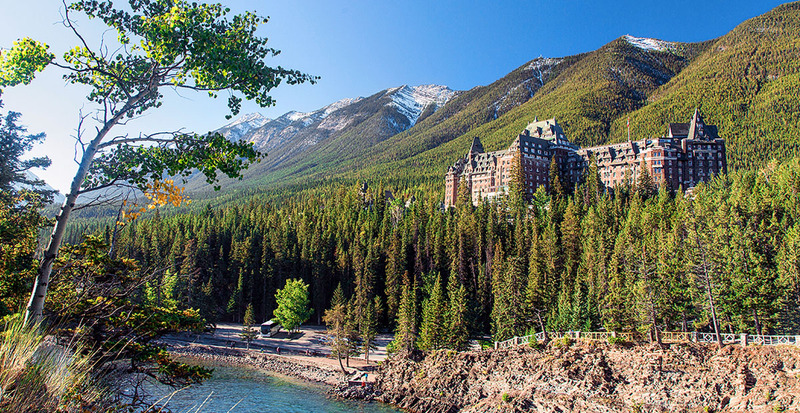 Fairmont Banff Springs hotel has been cherished as a relaxing Rockies retreat for over 125 years. The Banff Upper Hot Springs lie just down the road with thermal waters steeping beneath outdoor summits at 5,200 feet. The Willow Steam Spa offers its own curative mineral pool and mountain hot stone massages in the comfort of the hotel grounds. Situated on 700 acres in Jasper National Park, Fairmont Jasper Park Lodge’s cedar cabins are surrounded in the spectacular shimmer of Lake Beauvert. Follow 18 holes on Canada’s premier golf course with an al fresco lunch at Thompson’s Terrace or enjoy locally sourced produce in their specialty, the Foraged Mushroom Risotto at ORSO Trattoria. Truly a destination for all seasons, Alberta’s wonders lie not just in its natural beauty and luxury retreats, but also in the warmth of its people. Let us transport you to a province where locals carefully protect their treasured land, their heritage and their family-friendly experiences that have drawn travelers here for generations. 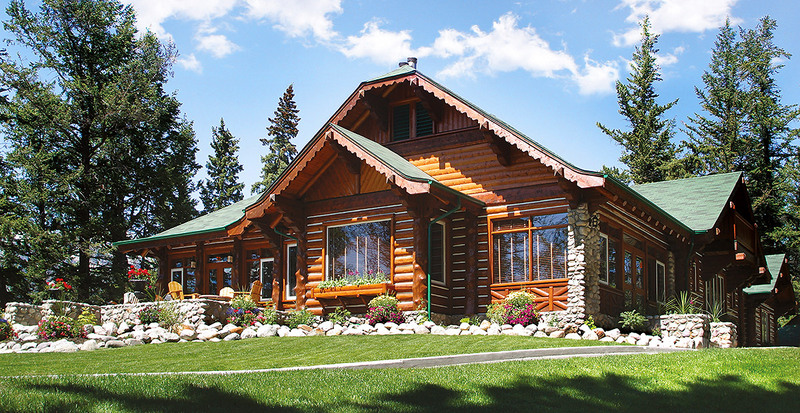 We can curate your complete Alberta vacation and reserve luxury stays enhanced by our exclusive amenities. Contact us today to get started!